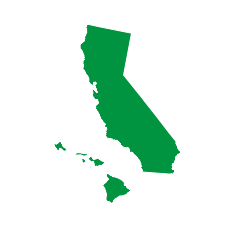 The Mendocino National Forest is one of 18 National Forests in California, and is nearly one million square acres in size. Forest Service employees you are most likely to come in contact with, in campgrounds and recreation areas, are here to protect and maintain all the resources of the National Forest. One of their primary responsibilities is to maintain the recreation values of the Forest and to enhance - whenever possible - your Mendocino National Forest visit. There are campgrounds on the Mendocino National Forest that use the Pack it In, Pack it Out program for dealing with waste. This means that garbage cans are not provided. Campers and hikers are asked to bring their own garbage bags and take their garbage with them when leaving the area. While this seems like an inconvenience, the funds saved are used to provide additional recreational facilities. Do not bury litter; forest animals can smell it and will dig it up.We appreciate your cooperation and assistance in helping to manage, protect and conserve the various resources of this forest. You must obtain a California Campfire Permit if you plan to build a campfire or use a stove, unless you are in a developed recreation area (campground or picnic area). Permits are available free-of-charge at offices of the Forest Service, the Bureau of Land Management, and the California Department of Forestry and Fire Protection. Please visit, call, or write one of our Forest Service offices for more information. Unless otherwise indicated, office hours are Monday through Friday, 8:00 am - 4:30 pm. Most district offices also maintain weekend hours during the summer months. All forest offices are wheelchair accessible. ACTIVITIES Camping: Many campgrounds are in remote locations offering beautiful scenery and clean air. This escape from civilization is a haven for visitors seeking a base camp for rustic hiking, motorized and non-motorized trail opportunities and other outdoor activities. Fishing: There are many opportunities for lake and pond fishing across the forest. Hiking: The forest is abundant with wonderful areas for day hikes to choose from. Horseback Riding: Visitors can ride horseback starting at many trailheads located throughout the forest. A few trailheads also have facilities such as corals and troughs, specifically to assist riders. Picnicking: Enjoy a day in the forest away from the rush of the city. Bring a lunch, wade in a icy cold creek or take a day hike. Picnic sites throughout the forest await you. Recreational Vehicles: Some campgrounds offer RV camping opportunities, but please check individual campgrounds for size limits.&nbsp; Also be aware that road conditions may limit size of RVs or trailers recommended for an area. Horse Camping: Overnight camping by horseback is a great way to introduce young and old alike to the pleasures of the great outdoors. Keeping horses in non-designated Forest campgrounds and picnic grounds is prohibited.